Ever since we moved into this place over three years ago, our garbage disposal has been a bit noisy, and more recently has started to smell bad. 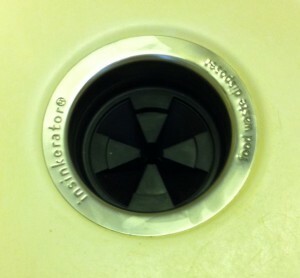 The model we had, the In-Sink-Erator Badger 5 Plus, was not easy to clean since the black rubber flap at in the drain was not removable. Since the disposal was pretty old, we decided to replace it. 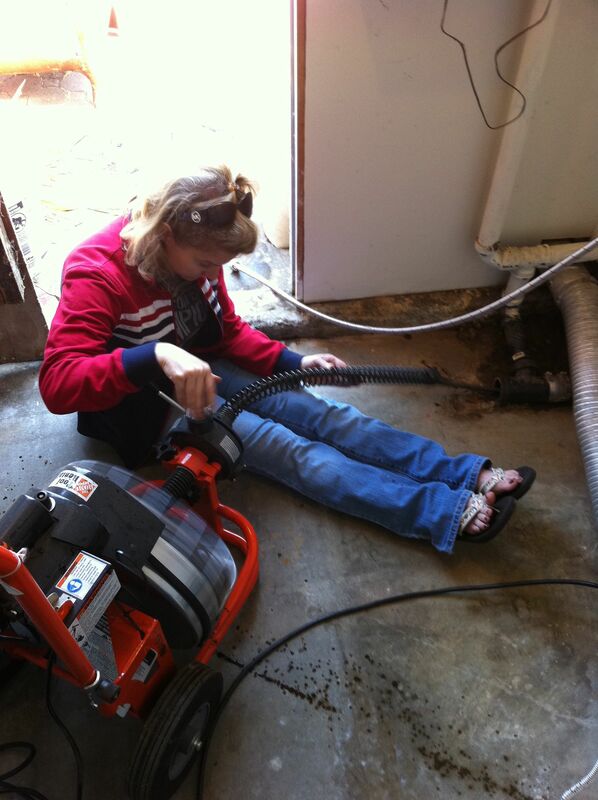 Last week our drain in the garage got stopped up during a washing machine cycle, spilling water onto the floor. While the dishwasher was also affected, the rest of the house (kitchen sink and bathroom) were unaffected. This is good news since just a few months ago we had some major plumbing work done. It meant that the sewer line was clear, and the blockage was somewhere in our internal pipes. We decided to try out a new plumber since we had some minor issues with the previous work. But since they wanted $225 to snake the drain, we decided to take a stab at fixing it ourselves. If we failed, all we would lose most likely was some time and effort.